Last month, I wrote about food synergy, how healing through food is not about obtaining large amounts of any single nutrient, but how whole plant-based foods provides a complex mix of nutrients that work together synergistically within your body to create powerful health benefits we have yet to understand. My next series of blogs are going to take this concept one step further by looking at how specific food combinations enhance the nutrient potency of your meal and the bioavailability of those nutrients. Lemon and Broccoli – Myrosinase is an enzyme found in broccoli that creates a chemical chain reaction resulting in some of the cancer prevention properties broccoli is known for. When broccoli is heated, the myrosinases enzyme becomes inactivated. Studies reveal that by sprinkling lemon juice on sliced broccoli, the myrosinase increases it’s activity. If you let the lemon coated broccoli sit 5-6 minutes before steaming, it enables the necessary chemical reactions to increase the broccoli’s cancer preventing power. Lemon, Cayenne, Honey, and Cinnamon – The combining of lemon, cayenne, honey, and cinnamon creates a healing tonic that provides wonderful health benefits when you are sick. The lemon and cayenne work together to create a strong anti-fungal immune booster while neutralizing the body’s pH in order to help fight against the infection. The Lemon acts as the natural detoxifier as the high amounts of Vitamin C transforms the toxins within your body into digestible material and the antioxidants and electrolytes support the immune system. The cayenne pepper stimulates the circulatory system and increases the temperature of your body so you feel better. The honey adds a mild antiseptic as the cinnamon helps balance your sugars and provides anti-inflammatory qualities. Try this tonic: 1 tsp of honey, 1/4 tsp of cinnamon, juice of 1 small lemon, dash of cayenne, and warm water. Lemon and Garlic – Garlic is packed with nutrients: Manganese, Vitamin B6, Vitamin C, Selenium, Fiber, Calcium, Copper, Potassium, Phosphorus, Iron and Vitamin B1. When immune boosting lemon meets antioxidant rich garlic, the healing properties become even more powerful. Whenever you cook with garlic, include a tablespoon of lemon juice or add some lemon rind and garlic to our marinades or stir-fries. 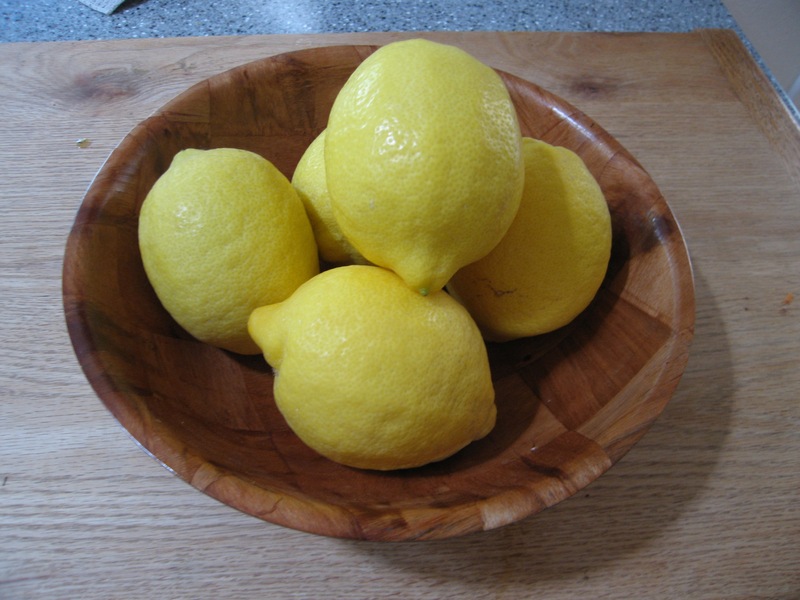 Lemon rind provides 5 times more vitamins then the juice. Lemon and garlic were used centuries ago in Tibetan folk medicine to clean and strengthen the blood vessels as well as prevent and cure disease. Today, it is even considered effective in lowering cholesterol levels. The Tibetan’s would create a healing tincture using 4 garlic heads, 4 medium lemons with peel and 3 liters of boiled water. Lemon and Greens – Dark leafy greens (chard, collards, spinach, arugula) are loaded with iron, but the type of iron is not in a form that is easily absorbed by our bodies. When the Vitamin C in lemon juice meets the iron found in greens, the amount of iron absorbed increases by six times. Sprinkle a tablespoon of lemon juice on your salad or add lemon juice to sautéd chard, spinach and/or collards. Lemon and Green Tea – Green tea is known for its ability to boosts the metabolism, reduce the risk of cancer, cardiovascular diseases and rheumatoid arthritis as well as helps to reduce cholesterol and fight infections. What makes this tea so powerful? Catechins, a type of antioxidant. When lemon juice is added, its benefits become super-charged. The citric acid and Vitamin C found in lemons helps our bodies absorb up to 13 times more antioxidants than we would get from drinking the tea on its own. Lemon, Turmeric, Honey, and Ginger – This tonic helps warm the body from the inside and can relieve mild aches and pains caused by a cold or flu because of its strong anti-inflammatory properties. In addition to the healing properties of lemon, both ginger and turmeric have potent antioxidant, antiviral, antibacterial, anti fungal properties, in addition to pain relievers. The honey adds a mild antiseptic quality. Try this: 1 inch piece of fresh ginger cut into slivers, 1/2 tsp ground turmeric, juice from 1/2 lemon, 1 tsp honey or to taste. Note: consuming drinks with high concentration of lemon juice can ruin the enamel of your teeth. I recommend always using a straw and practice oil pulling which helps strengthen and protect the enamel. The next time you’re at the grocery store, don’t forget to pick up a few lemons. This entry was posted in cancer, Healing, Nutrition, Plant-based, plant-based, Recipes, Vegan, WFPB, Whole food, Whole food, plant-based and tagged alkaline foods, anti-cancer, eating for health, food synergy, healthy choices, healthy eating. Bookmark the permalink. This practical information is so valuable I have created a special section in my ever expanding recipe collection. : Synergy: Lemons.